The Liberty Bell replica and other parts of the Idaho Capitol have been cleaned up after state officials found graffiti on the landmarks this week. Many of the tags are incoherent. On the Liberty Bell replica, the mark reads, “…Only One Man Totally Inpependant [sic] promaleism”. 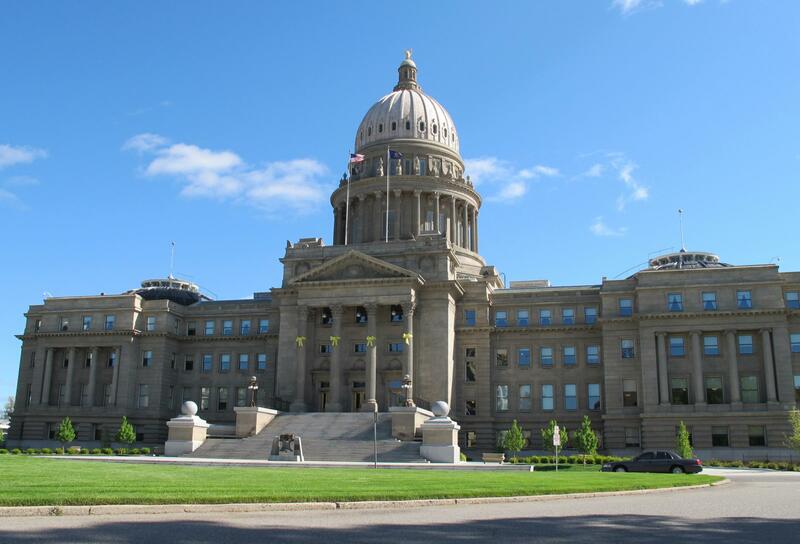 “An elderly man, kind of deranged, walked through the capitol building and made some marks,” says Diane Blume, a program specialist with the Idaho Department of Administration. “Sometimes these things happen when you have open public facilities – which they should be,” she says. Idaho State Police spokesperson Timothy Marsano says troopers haven’t cited or detained anyone for the vandalism that happened Monday, but are pursuing a person of interest. Mike Rogers, who runs Precious Metal Arts about a block away, helped restore the bell earlier this morning. “They’d already tried acetone and alcohol and so they’d gone through the basics of what might work and it had faded it out, but it also left a halo around where they’d been rubbing on it,” Rogers says. The federal government gave each state a Liberty Bell replica (though, without its trademark crack) in 1950 to celebrate America. Rogers and Boise State University sculpture professor Francis Fox were considering using a heat gun or even a torch to remove the ink from the bronze bell, but first tried a lightly abrasive eraser. The move worked for the most part. You can still see traces of the graffiti if you look closely, but Rogers says that will fade away with time. If he and Fox would’ve had to recreate the patina it’s built up over the past 68 years, he estimates it could have cost up to $2,000. But Rogers notes he wouldn’t have ever considered charging the state a dime.